This month's newsletter highlights a GFSC Consultation paper, publications of importance to the industry from the States, an unusual language course and upcoming events. Annual Subscription renewal invites have been sent to every member and we are pleased to note that we have received a good number of receipts and contact detail confirmations to date. There are still some 20 corporate and a few personal subscriptions outstanding, so please if you are one of these, do press on and send your remittance as soon as possible. Your feedback is always gratefully received, even pointing out any typos and grammatical errors! So do feel free to get in touch via info@guernseytrustees.org. The Guernsey Financial Services Commission have issued this month: "Consultation Paper on the Revision of Laws Project". The Commission are seeking feedback from the Financial Services industry on a number of proposals to amend the Bailiwick's Supervisory and Regulatory laws. Its primary purpose is to facilitate discussion between the Commission, Government and industry on the best way to update the current legislative framework to ensure that it is as user-friendly as possible, while still complying with the relevant international standards. Details of the news release can be viewed here. The GAT Technical Committee will be reviewing the Consultation Paper and will be submitting a full response. GAT would welcome comments and suggestions from members and indeed volunteers to help assimilate the review and responses. Please provide your responses to GAT on the Consultation Paper by Monday 12th April to allow time for responses to be collated prior to the deadline of 24th April 2015. As part of the GFSC engagement programme for the revision of laws project, the Commission intends to host two coffee/breakfast sessions on the mornings of Tuesday 10th March and Friday 13th March from 8:30am on each morning where people can simply turn up and have a chat about their views and ideas with senior staff from the Commission over a cup of coffee and a croissant. As part of the Sentinel transformation programme, the Commission has been developing its online services to improve the way it receives information from industry. Over time, this Portal will grow to allow licensees and individuals to submit the most common applications, notifications and returns to the Commission electronically. Their first offering is Personal Questionnaires ('PQs'). If you are required to submit a new PQ, or update details previously submitted on a paper version, then you will have to register for this new service. Paper Submissions are available up to 17th April 2015. A link to the Portal is available by clicking here. We will be welcoming Tim Loveridge from the GFSC, who has been instrumental in pushing through the Sentinel Transformation Programme, to discuss the On-line Portal with members at our next GAT Luncheon in March 2015. Date to be confirmed and your invite to follow shortly. Published on 22nd January 2015, Commerce & Employment's Department's 2015 Business Plan can be accessed in full by clicking here. A summary of the work accomplished by the Department in 2014 is provided along with details of the wide range of projects which will be progressed over the next 18 months. Deputy Kevin Stewart, Minister for the department said about the document: "It's important that the Department benchmarks its progress to date and demonstrates that we are listening and working with the business community as we go forward. The 2015 Business Plan demonstrates the progress that has been made along with the challenges that the Department has been working through and importantly what the next steps are." The Common Reporting Standard (CRS) is a global standard developed by the Organisation for Economic Co-operation and Development (OECD) for the automatic exchange of information. Guernsey joined in a statement issued on 28 November 2013 by 36 countries, and a further statement in March 2014 by 44 countries, committing to the adoption of the CRS. In total, 58 countries and jurisdictions have now formally committed to implementing the CRS for the first exchange of information in 2017. This will be in respect of accounts open at the end of 2015, and new accounts from 2016, with a further 35 jurisdictions committed to implementing the CRS by 2018. The Director is seeking comments in relation to the CRS framework, implementation and future guidance to industry rather than views on alternative proposals. The consultation period will run from 20 February to 20 March 2015 and the consultation document may be downloaded from the Income Tax Office website at www.gov.gg/crs. In order to assist the consultation process if you wish to provide comments please ensure that your responses are provided on the Consultation Response Document. Please email eoi@tax.gov.gg for the interactive response document. 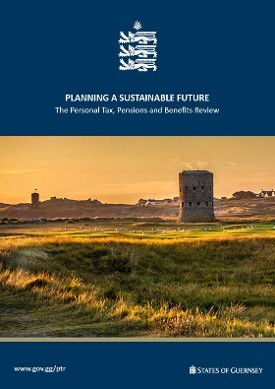 A current and topical subject, which members were involved with via consultation, is the Personal Tax, Pensions & Benefits Review undertaken jointly by the Treasury & Resources and Social Security Departments. Deputy Gavin St Pier addressed GAT Members at our Q3 Lunch last June, when he explained in detail the rationale behind the Review and invited Members to participate in an informed debate to assist in shaping the Review. Spaces available - Click here to book. Please click here to view 'Save the date' flyer. Please find linked here a flyer from the Guernsey College of Further Education giving details of their new "Mandarin for Business" course.